Glinn. 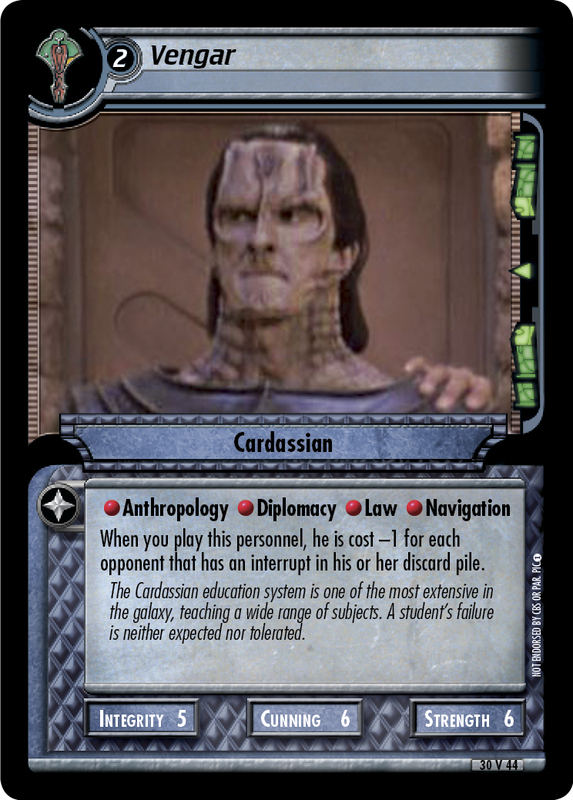 When you discard this personnel from the top of your deck, you may place him on your Cardassia Prime. 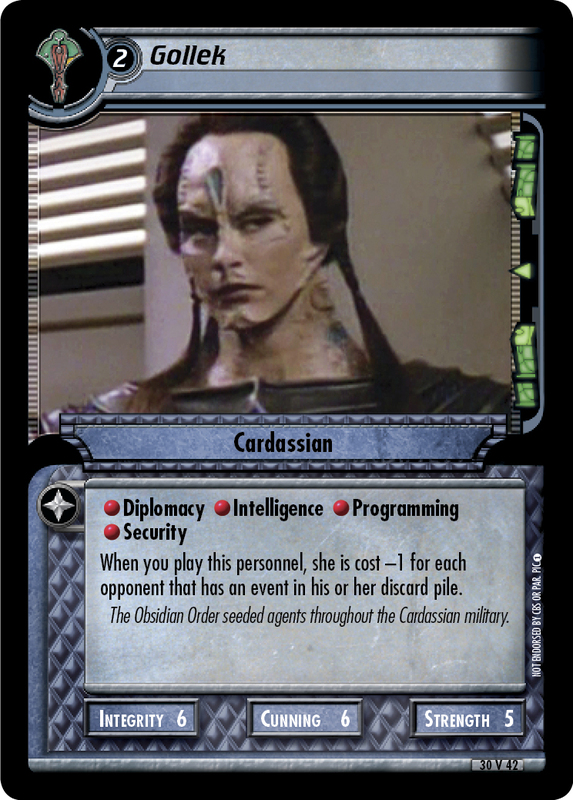 Military aide that helped plan the aborted sneak attack at Minos Korva. 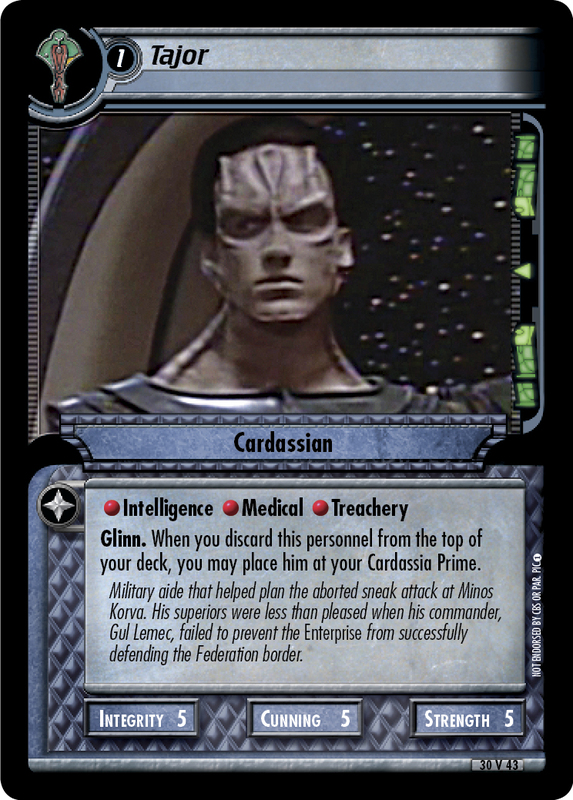 His superiors were less than pleased when his commander, Gul Lemec, failed to prevent the Enterprise from successfully defending the Federation border.